Me and my family visited Nikko out from Tokyo in May 2018. We met Emiko directly at Nikko station (we arrived there by ourselves). She was waiting for us and she already had organised a taxi to bring us to the the first sight. We discussed the program per email before our arrival but Emiko is always open to offer additional ideas or to adjust the programm along the day. She is very organized, flexible and caring. She knows perfectly how to plan the visits in order to optimize your time. Emiko knows very well the history of Nikko and her general knowledge is very rich. She has many anecdotes and is open to discuss about any topic. Her English level is very good and she has a lot of vocabulary in her field of activity. 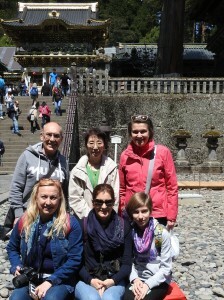 To conclude, we had a very pleasant visit in Nikko with Emiko and we really enjoyed the time we spent together. We really appreciated to be introduced by Emiko to the Japanese culture and we would highly recommend her. With Emiko, we had 2 wonderful days in Nikko. Her helpfulness already at the planning of our trip was very important, as we needed a personalised tour for some health reasons. She was very flexible and prepared our trip “à la carte”. Her tips concerning the trains to and from Nikko, the hotel she recommended us, the visits she had chosen, the timing, everything fitted perfectly together. She even managed to chase the rain and let the sunshine come out most of the time. 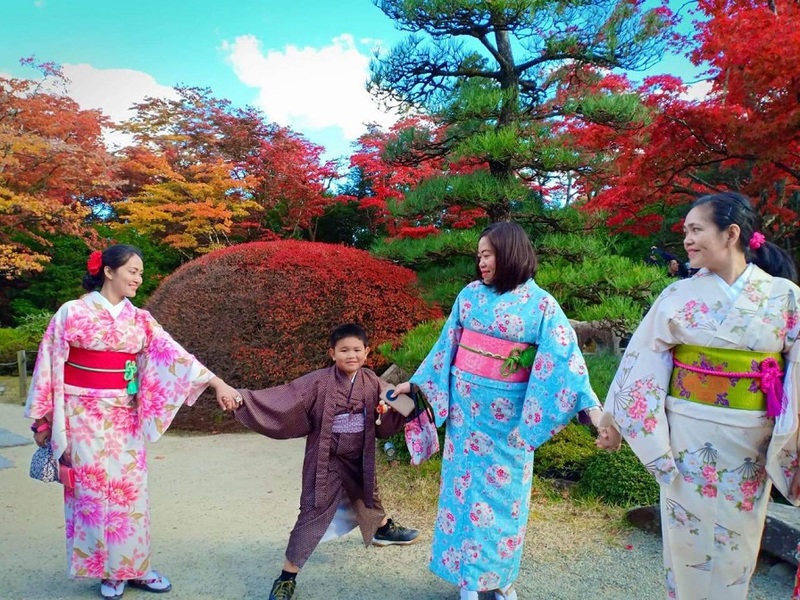 Although it is not easy to avoid the masses of tourist at some sites at certain times in Nikko, I can only recommend her for personalised trips in Nikko to get in a short time a detailed view of the Japanese culture and history. Thank you Emiko and be our guide again soon. Noriko san. We hope to see you again soon. Please do keep in touch. 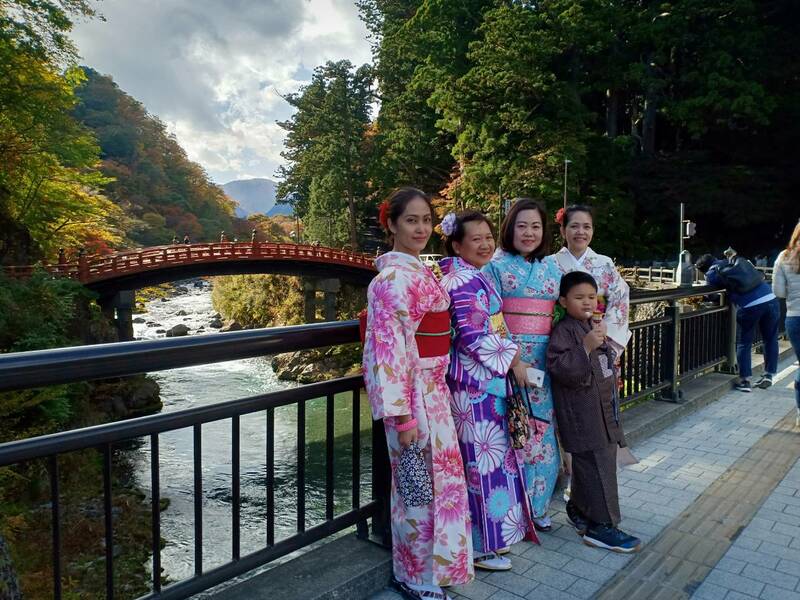 During November, we were accompanied by Emiko during our visit to Nikko. Besides, she was very supportive of the organization of our trip. Emiko is a very charming person who, in a very personal way, has made us discover the essence of this Japanese city of reference that should in any case include in your next visit to this great country that I know for 25 years now. Call Emiko is counting on one of the best Japanese welcome accompanied by a lot of kindness and sensitivity. Thank you Emiko for this enjoyable time together. 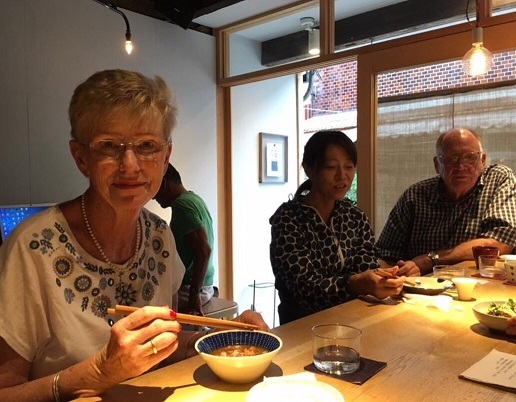 On behalf of Cynthia and myself we wish to sincerely thank Yoko for the care and attention to detail she demonstrated in guiding ourselves and addressing our requests during our time with her in Kyoto, Nara and Osaka. We really felt we were with a friend and not a tour guide. Her commitment to assist regardless if it was outside her tour guiding responsibilities was much appreciated. A typical example was assisting ourselves in ensuring we booked the correct train transport to Kansai International Airport. This is the first time we have used the services of a local tour guide and would strongly recommend your services to future travellers visiting the areas covered by yourselves. Thank you very much for the tour to Kamakura yesterday.I learned a lot about the Japanese history and Kamakura history in particular . I enjoyed your company very much and found your gaudiness very pleasant and very professional .I recommend this tour with Asami to any tourist that want to experience Kamakura. Masayo did an amazing job of showing us not just the main sites of Nara but also wandering into areas of the temple we had never visited. I had been to Nara many times in the past. We hired Masayo to guide our children, and give a flavor of local culture. We were very pleasantly surprised to also have a wonderful tour. Thanks for a great day! as we could before returning home today. beautiful Nikko. We really enjoyed the day with you. We would like to apologize for rushing so quickly to catch the train as we didn’t get enough time to also thank you for the photo of us all you took, and other things you prepared for us as well. So all in all we really appreciate you and the tour you gave us and will certainly recommend you to friends planning to visit Nikko. I’d like to thank you for arranging a tour with Yoko today. and important things about Japan. Thank y All my family are impressed from her tour. It was a real pleasure to spend this day in her company – we’ve visited impressive places and learned from her a lot of interesting ou very much for this arrangement! 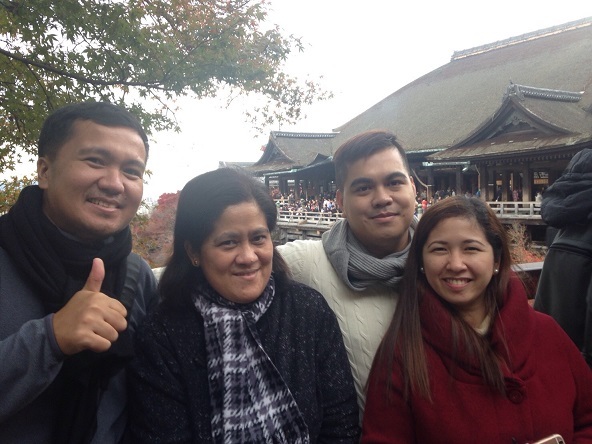 We had a fantastic tours in Kyoto and Kobe with the help of our fantastic tour guide MASAYO. She was on time and well organized and full of good information. During the tour she guided in all safety and without confusion. Masayo showed us the best of Kyoto and Kobe. She made our experience unique and gave us memories to last a lifetime. Masayo cultural information was amazing and her English was very good. She was easy to understand and to converse with. Our group enjoy taking the public transportation which made our tour even better. Masayo definitely made us love Japan and all it is offering. We would definitely recommend Masayo to any visitors coming from the airport or by cruises. Thank you so much for all your kindness. You made our day tour in Kamakura a wonderful experience.It was our first day in Japan and we enjoyed the tour with you very much. Best regards and all the best!! Our booked tour guides, Yoko and Mie, could not have been more accommodating. 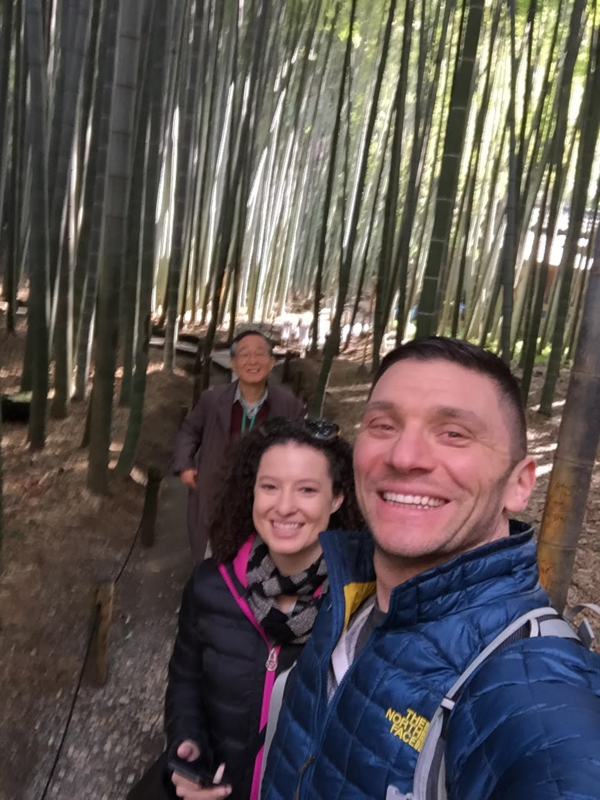 Our group touring Osaka and Kyoto, could not ask for more as they made it sure to attend to all our needs during our tours. Articulate, knowledgeable and caring. Absolutely thrilled. 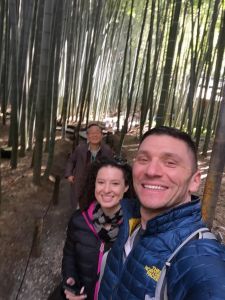 We were four retired business executives who had travelled to Japan many times for business, but had never learned much about its history and culture, so we decided to take a tour of the Nikko World Heritage Sites with Emiko. We were from Ireland, Singapore, Hong Kong and Canada with diverse backgrounds. Emiko set out an individualized tour plan to meet our different interests. We saw most of the World Heritage Sites, including areas not full of tourists. Her knowledge of the area and especially her ability to share it easily with us, made the day a very enjoyable and fun experience. She provided us with an excellent professional tour which exceeded our expectations. It is so much better than the alternative group bus tours. Thank you Emiko for taking good care of us. We have concluded our tour of Japan and have returned to California. I wanted to thank you again for such a fabulous first day. You were so kind and knowledgeable, it felt like we were touring Kamakura with a longtime friend. It was so kind of you to accompany Stefan to the meditation on Tuesday as well. Hopefully it wasn’t too early for you! My best wishes to you and your family. We will certainly look to contact you again should we ever come back to kamakura. Yoshika Kumagai was an outstanding guide for us in Kamakura. She is extremely knowledgeable, had great language skills, was on time, efficient but never rushed. We had a wonderful visit to Kamakura because of Yoshika’s excellent guidance. ¡Muchas gracias por el tour, nos encantó conocerte! Having you as our tour guide, we have learned so much about Nikko and the stories behind. on this trip. If you ever happen to be in Singapore, let me know. I will play host to you for tasty Chicken rice! Thank you once again. While planning our trip to Kyoto, I was praying for the right tour guide who would take excellent care of my mom. Masa-San is an answered prayer and her tour exceeded our expectations. My mom is recovering and she took us to the all the relevant shrines intended to alleviate illness and suffering. We were impressed that she took the time to research all the right shrines and temples. Masa-San is also flexible and incorporated our requests (money changer, a bit of shopping) in the tour. Masayo is well-versed in Japanese culture and history. Her tour made us fall in love in Kyoto. We are happy to make a new friend in Kyoto. We will definitely book her for other trips. She also booked an excellent driver for us Aoki-San. We wish them success in all their endeavors and hope to have the privilege of seeing them again. Dear Emiko san, We want to thank you very much for the wonderful day in Nikko you provided us. Your knowledge and humanity made this an extra special day for us. We learned so much about Japanese history, art, and　culture from you. Our visits to the original Kanaya house and the imperial residence were an unexpected delight. But most of all, we enjoyed spending time with you and learning a little bit about your life. Dear Jiro san, We would like to thank you very much for a completely satisfying day with you, as you accompanied us around your home area of Tokyo and Yokohama. As we had wished, you got us close to urban life in Japan, and provided us with more confidence to navigate our way around Japanese geography and life. After our baseball game on Sunday afternoon (great fun!) we took the subway to Shinjuku- chome station and went to the Isetan department store’s food basement. It’s big and beautiful. We bought delicious Japanese food there for dinner back in our hotel. Continue enjoying your well-earned retirement, and stay healthy and happy! Jane and Ken Shaftsbury, Vermont, U.S.A.
We want to thank you very much for the wonderful day you gave us in Kamakura. Now, after 25 years, we have seen it together, and seeing it with you has made it memorable. We started the day off perfectly with the visit to Jomyo Temple. We found the tea ceremony to be very moving, and are glad we were alone there with you. The serenity and mutual hospitality were, to say the least, quite beautiful. This set the tone for the rest of the day. Despite the hustle and bustle of a busy Saturday with sunny weather, you perfectly paced us through the various experiences. We had ample opportunity to let each pause soak in. 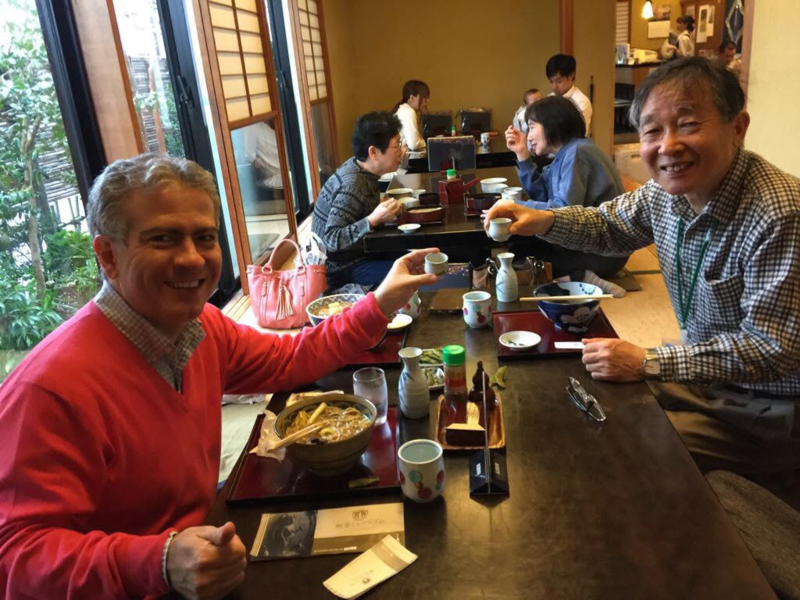 And, you even taught us how to eat soba noodles with chopsticks! Thank you, too, for taking us to the last shrine. We now know you are a man of faith, and as people of faith, too, we know that prayers are always answered, even it does not seem obvious at the time or what we might have expected. May the delivery of your next grandchild be less stressful! All the best to you and your family, now and long into the future! Arigato gozaimasu…thank you very much for being our Kamakura guide. It was an amazing experience; one that we’ll all treasure for a lifetime. The walking tour and visiting the spectacular sites were something we had only read about in books, but to see them in reality was magical. The views were breathtaking and awe inspiring; your knowledge of the area and it’s rich history is truly admirable. Thank you again for leading a great tour! Hi, Yoko. We had a wonderful time touring Kobe with you yesterday! We enjoyed exploring your city with you as our guide. I’m sorry that I ran out of energy in the late afternoon. I’m still recovering from the Bronchitis that I got at the beginning of our cruise. We are back in Boston now. Barbara and I certainly enjoyed our day with you in Kyoto. You were also kind to meet us at the Shinkensen in Kobe. The day we had together was perfect, we saw the Golden Temple and Rock Garden which we wanted to see. And of course the Japanese lunch was also very good. I do see a lot of small changes for the better in Japan that help tourists [such as Western type bathrooms], it may be a small thing but to foreigners it is very helpful. Again thanks so much for leading us in our day tour of Kyoto, if we come to japan and that area again I will certainly call upon you to help us. Good afternoon, hope you are find today. We want to say thank you to you and to all you associate ( Takahashi-san, Nakayama-san, and Murayama-san ), all of them were so nice and so kind, we will not forget of them and hope we will meet again someday. Still many places that we haven’t visit yet but we think Nippon was a very wonderfull place to visit. Please send my regards to all of your associate. When you are on a trip to a foreign country and do not speak the language a tour is a must. We took the 4 hour Kamakura tour with Shun and it was fantastic. Shun took us to many different temples and explained details that we just wouldn’t have understood by ourselves. Lunch with Shun was delicious and he helped with ordering and picking a good place to eat. Shun was a great tour guide. He was interesting, detailed, and wanted to get to know us rather then just give us a tour. I highly recommend Shun and his Kamakura tour. He made it a day to remember! We have just arrived home, it was a long way and the trip was good. through the beauties in Nikko and the Japanese culture, we enjoyed it very much. the booking right to the end of the tour, you were extremely helpful and attentive. You showed great flexibility to give me a truly personalized tour to match my interests. I hope it’s not too late to thank you again for showing us Kyoto last month. We had a great time, and would like to go back to Japan again soon. The maiko session that you arranged for my daughter was certainly a highlight of our trip — we still enjoy looking at her studio pictures, and Lauren still talks about it to this day. I hope you don’t mind that we’ve shared your contact details with some friends who are planning to visit Kyoto later this year. If you’re planning on visiting the Philippines, I hope you will look us up.